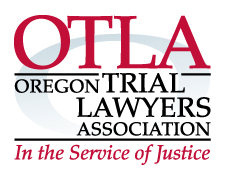 The following is an article from the Oregon Trial Lawyers Association’s “Trial Lawyer” Magazine published in its summer 2009 issue. The author is grateful to Gary Kahn of Reeves, Kahn & Hennessy, as well as Fred Rasmussen of Fred A. Rasmussen, CPA, PC, for their editing, suggestions and help in writing this article. You have to look no further than a simple search of the web to find confusion about the distinctions between a Limited Liability Company (LLC) and an S-Corporation (S-Corp). This confusion intensifies when adding the subject of taxes. The uncertainty is understandable. Attorneys and accountants seem to talk in an entirely different language when discussing these business entities. Nevertheless, the LLC and S-Corp are common in terms of the types of small businesses people encounter. There is basic information that is accessible, understandable, and helpful to those who want to start, or who have already started, a small business. An LLC is comprised of members. It may be comprised of any number of members, and those members may include individuals and other entities such as general partnerships, limited partnerships, trusts, estates, corporations and other LLCs. In contrast, an S-Corp is comprised of shareholders. Unlike the LLC, it may be comprised of no more than 100 shareholders, and those shareholders must generally be individuals. Both LLCs and S-Corps may have as little as one member or shareholder. One benefit of choosing an LLC or S-Corp is obtaining the limited liability protection they offer. The debts, obligations and liabilities of an LLC, whether arising in contract or tort, are solely the debts, obligations and liabilities of the LLC. ORS 63.165(1). Similarly, a shareholder of a corporation is not personally liable for the acts or debts of the corporation merely by reason of being a shareholder. ORS 60.151. As the term “limited liability” implies, however, liability is not wholly eliminated. A member or shareholder who actively engages in “improper conduct” or “moral culpability” will be personally liable for her debt, liability or obligation. Handam vs. Wilsonville Holiday Partners, LLC, 221 Or App 493, 497 (2007). In the rendering of professional services, such as the practice of law, a shareholder or member is also personally liable for her negligence and misconduct as well as the negligence and misconduct of those under her supervision and control. ORS 58.185(3). This liability extends to other shareholders as well in the rendering of professional services. ORS 58.185(4). The liability amount is currently capped at $400,000.00 for a single shareholder or member. OAR 160-010-0400(2). For multiple shareholders or members, joint and several liability is capped at $2,650,000. OAR 160-010-0400(3). It is comforting to know that most obligations will not reach into our personal lives as long as we properly conduct ourselves and maintain adequate insurance. Thus, for most business entities, limited liability is worthwhile. Suppose, for example, a catastrophic illness forces the closure of a business. Suppose, also, that the business had just assumed a large debt for new equipment and space. If the company could not cover the debt, the owner would not have to pay the balance. He or she could focus on recovery. Forming an LLC is relatively simple. It used to require the filing by mail or by fax of the company’s articles of organization, a simple form of which you could download from the Oregon Secretary of State’s Corporate Division website. If the business had any employees, the State usually required it to fill out the Employment Department’s Combined Employer’s Registration to notify the appropriate taxing authorities of incoming income taxes, transit taxes (where applicable for Tri-Met and Lane County), and unemployment insurance taxes. I have left out details about the required contents of the articles of organization and incorporation. I have also left out details about some of the tangential documents that accompany the operating agreement and bylaws; however, these details are relatively easy to learn and easy to correct. Unless ignored or forgotten over time, they should not impact the business or its limited liability. ORS 63.165(2). Except for the solo proprietor with no employees and no plans to hire an employee, most business owners who elect to form an LLC or an S-Corp will need to obtain an Employer Identification Number (EIN) from the IRS for the new venture. Banks often require the EIN before they will open a business account or extend a line of credit. The IRS needs this number to address payroll withholding taxes. In the past, one would file by mail or by fax a Form SS-4 with the IRS to obtain an EIN. Now, obtaining an EIN occurs almost instantaneously by applying for it online with the IRS. At this point, the new business has its articles of organization or articles of incorporation, has the operating agreement or bylaws, and has obtained its EIN. If the business wants the IRS to treat it as an S-Corp, the owner will also need to fill out IRS Form 2553. Once Form 2553 is filed, the business has essentially finished its initial paperwork. Both S-Corps and LLCs may provide for what is called “pass-through” taxation. While the effect of this form of taxation is similar for both entities, it makes sense to break down how “pass-through” taxation arises and how it works. On Form SS-4, the IRS gives the attorney who elects to open an LLC the option to select the tax treatment for the LLC. The IRS’s Instructions for Form SS-4 (pg. 4) demonstrate how to make elections. Under the default “election,” the IRS treats a domestic, single member LLC as a “disregarded entity” separate from its owner. Also by default, the IRS treats an LLC with two or more members as a partnership. On the other hand, the lawyer may elect to treat the single member or multiple member LLC as a corporation. The attorney then needs to file Form 2553, which allows the attorney to select S-Corp status for her new corporate structure. Thus, by filing Form 2553 with the SS-4, the attorney has now created an LLC treated as a corporation with S-Corp status. These elections are confusing. Intuitively, one asks why the political and legal system has created a new entity (the LLC) but given its organizer the opportunity to treat it as an older entity (the S-Corp) or a “disregarded entity” for tax purposes. Setting aside the confusion, here is what I think is important to remember: The member or members of an LLC law firm file essentially three tax forms. The first form is for the LLC itself. For single member LLCs taxed as a disregarded entity, it will be a Schedule C. For multiple member LLCs taxed as a partnership, it will be a Form 1065. The forms do the same thing: they tell the IRS what income or loss the LLC experienced for the applicable tax year. The second form is a Schedule SE. It calculates what is called the “self-employment” tax. The third is the well-known Form 1040. The attorney takes the numbers from the first two and transfers them to the Form 1040. The attorney then calculates what I’ll refer to as her “total tax” using Form 1040. In short, Form 1040 calculates one’s total tax. Schedule C, Form 1065 and Schedule SE supply some of the numbers to get there. The self-employment tax from Schedule SE consists of two parts: a 12.4% tax for social security (old-age, survivors, and disability insurance) and 2.9% tax for Medicare (hospital insurance). The two rates total 15.3%. Members must pay the entire 15.3% self-employment on the net earnings of the LLC. However, for 2008, only the first $102,000.00 in net earnings was subject to the 12.4% social security tax. The figure for net earnings may increase in the future to address the social security deficits. Thus, assume a single member disregarded entity LLC reports net earnings of $75,000.00. This amount is subject to the self-employment (SE) tax. In this case, that tax is equal to $11,475.00 ($75,000.00 x 15.3%). Now assume the LLC reports net earnings of $150,000.00. The entire amount is subject to the 2.9% tax for Medicare, but the first $102,000.00 only is subject to the 12.4% social security tax. Thus, self employment tax on $150,000.00 in net earnings is $16,998 (($102,000.00 x 15.3%) + ($48,000.00 x 2.9%)). The same types of calculations apply to multiple member LLCs treated as a partnership, whose ordinary income or net earnings are subject to the self-employment tax. Think of the shareholder(s) of an S-Corp, as well as the member(s) of an LLC with S-Corp tax status, as filing three forms as well. As above, they will file Form 1040 and Schedule SE. However, instead of Schedule C or Form 1065, they will file Form 1120S. The question, then, is why switch to Form 1120S. The benefits of S-Corp taxation lie within the answer. In my previous hypothetical, the solo practitioner who formed an LLC taxed as a disregarded entity paid self-employment taxes on her entire net earnings. With an S-Corp, or an LLC taxed as an S-Corp, our solo can reduce those taxes. She may reduce those self-employment taxes because the solo may pay herself a reasonable salary via the S-Corp tax status. Any net earnings that accrue above and beyond that salary are not subject to the self-employment tax. Let’s return to our prior examples. Assume our business has the same net earnings of $75,000.00. The single shareholder S-Corp, or the single member LLC taxed as an S-Corp, may choose to pay our solo practitioner a yearly salary of $50,000.00. The solo pays the self-employment tax on the $50,000.00 only. The additional $25,000.00 is treated as “distributions” to our solo, and distributions are not subject to the self-employment tax. Because the IRS allows our solo practitioner to keep the 15.3% in taxes she would otherwise pay, she keeps an additional $3,532.39. Now assume, as earlier, net earnings of $150,000.00. The business pays our solo a yearly salary of $80,000.00. The solo pays her self-employment tax on that $80,000.00. Because the additional $70,000.00 is treated as “distributions,” our solo has saved $4,758.00 (($22,000.00 x 15.3%) + ($48,000.00 x 2.9%)). If this last calculation confused you, remember that the 12.4% social security tax stops at $102,000.00. I have provided examples for solo practitioners. Multiple member LLCs and multiple shareholder S-Corps follow the same logic for calculating the self-employment tax. There is the additional step of first dividing the ordinary income amongst the shareholders or members. Those who are quicker than me may logically induce that the solo practitioner may save an enormous amount in self-employment taxes if she were to reduce her salary to $1.00. In such circumstances, our solo would pay essentially zero in self-employment taxes. Of course, there is no way the IRS or federal government could fiscally survive if they allowed businesses to act this way. As such, the IRS has mandated that a business owner (our solo) must pay herself a “reasonable salary.” The IRS looks into several factors to determine reasonableness. Among them are: 1) training and experience; 2) duties and responsibilities; 3) time and effort devoted to the business; 4) distribution history; 5) payments to non-shareholder or non-member employees; 6) timing and manner of paying bonuses; 7) what comparable businesses pay for similar services; 8) compensation agreements; and 9) the use of any formula to determine compensation. If the reader is so inclined, please feel free to ignore the calculations I have provided. The most important lesson to draw from this section is that S-Corp tax status, whether or not the company is an LLC or an S-Corp, has the potential to save thousands of dollars in taxes. I have attempted to provide a foundation for thinking about entity formation and the tax implications that accompany the S-Corp and LLC. From this foundation, I hope it is apparent that incorporation is important for the limited liability it offers. I hope it is equally apparent that one should choose, or move towards switching to, S-Corp tax treatment either as an S-Corp or as an LLC. Later, as one’s business grows, there will be further tax considerations. Retirement plans, health insurance plans, and profit-sharing plans have different tax implications depending on the business entities they serve. Those implications are for a different article.